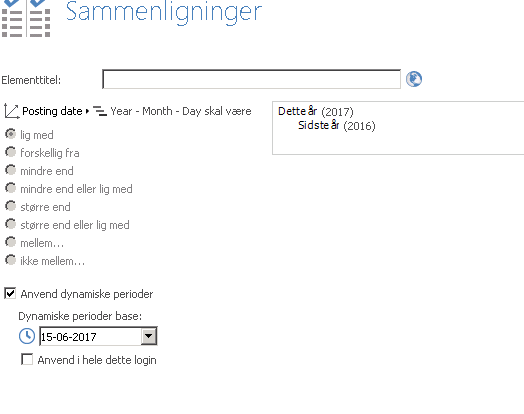 When i select "Year - Month - Day", my only options in the dynamic periods is "This year" and "Last year". In most cases this is due to an issue with dynamic periods syntax for your month level expecting the month level of your hierarchy to be in a specific format. 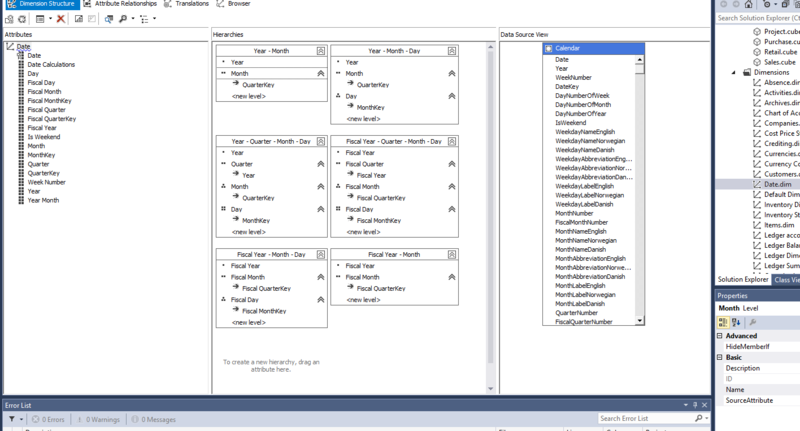 Did you set up the dynamic periods syntax yourself? And did you do it in the SSAS project or as a Decoration in the TARGIT Management client? - The month level now shows names instead of numbers. - The month level now shows 2 digit numbers (eg. 06) instead of 1 or 2 digit numbers (eg. 6). 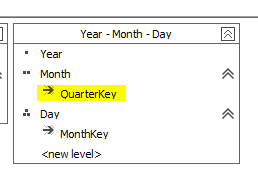 - The key of your month level changed from a simple key (month numbers only) to a combined key (year + month number). - Other changes to the month level may also make it fail. 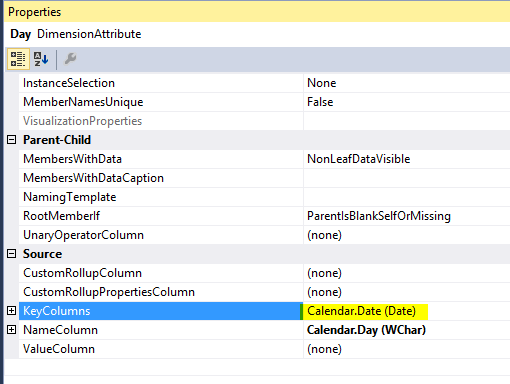 The best solution would be to fix the dynamic periods syntax on your SSAS project or in TARGIT Decorations, depending on where it is done by now, to match the new definition of your month level attribute. 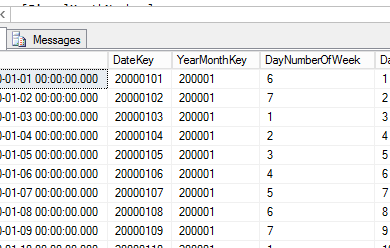 If you need further assistance, I will need to see screenshots of your current Dynamic Periods syntax and of a fully expanded Year-Month-day hierarchy in a TARGIT crosstab. 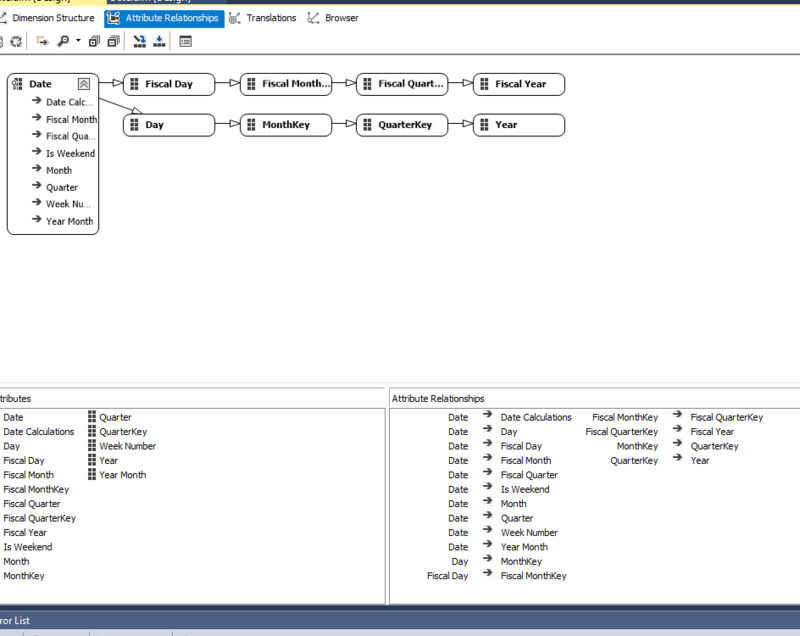 The data comes from a SSAS projekt. I don't know if you know them, but our cubes is from EG. And in the old version of the EG cubes everything worked fine. I must say tho, that i wasn't involed when these cubes were made. So i'm not sure if there has been made changes in those dimensions. 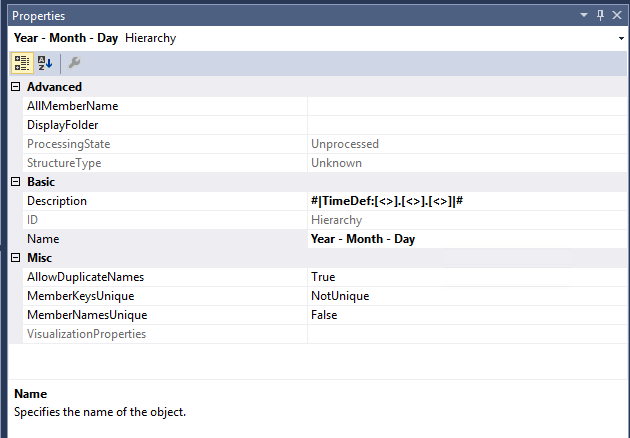 Click the "Year-Month-Day" hierarchy and have a look at properties, especially the 'Description' property. This is probably where you have your Dynamic Periods syntax, something like "#|TimeDef: ...". I would be interested in seeing that, thank you. Ok. Thanks. For sure, it is because your new data source now works with combined keys – which the old one did not. One more screenshot, please: Show me the combined key settings for your MonthKey attribute. 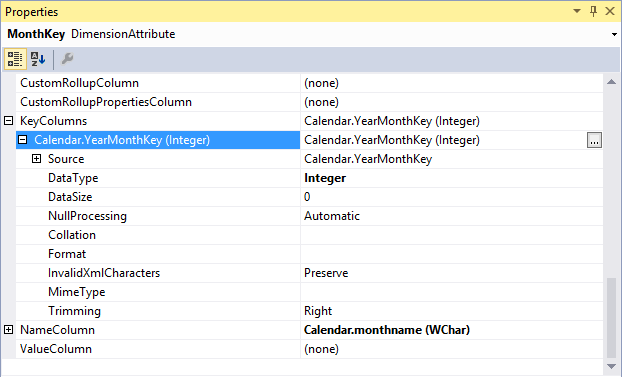 Look into the KeyColumn property of your MonthKey attribute. Click the small button with three dots to open up the combined key settings – this is the screenshot I need. Not quite. If you just click the KeyColumns property, you should see the three-dotted button on the right hand side in the second column. This should bring up a 'Key Columns' dialog box. This is the one I need. Exactly! Except that it didn't really give me that extra information I was hoping for. So, from now on I am going to do some (qualified) guessing. I am guessing that your 'YearMonthKey' contains data like '201706' for June 2017. You may verify this by browsing your Calendar table. Likewise, I am guessing that your Day level has a 'YearMonthDayKey' key - containing something like '20170615' for 15th June 2017. Give it a shot, and let me know. If it dosn't work I will need to know the contents (data) of 'YearMonthKey' and 'YearMonthDayKey'. PS: Your Data Warehouse will need to be re-processed in order for the changes to take effect. Edited by user Thursday, June 15, 2017 12:35:59 PM(UTC) | Reason: PS added. I'll try to fix this later tonight or tomorrow. You will hear from me, when i get it working. I tried your solution yesterday night, without any big succes. No. Don't think so. You could try, but I would be surprised if it will work. Please send me screenshot of your Calendar table where I can see the content (data) of 'YearMonthKey' and 'YearMonthDayKey'. My bad earlier on. It really isn't a combined key - it is in fact just a simple key (which has been pre-combined into eg. Year and Month). Just an update for you.